Some countries or regions have limited the number of precautionary statements to make a label more readable. For example, EU CLP labels. A chemical product may be packaged in multi-layer packages in which case inner packages need to be labelled according to GHS while the outer packaging shall meet the labelling provisions in accordance with the rules on the transport of dangerous goods. Please refer to the example below. 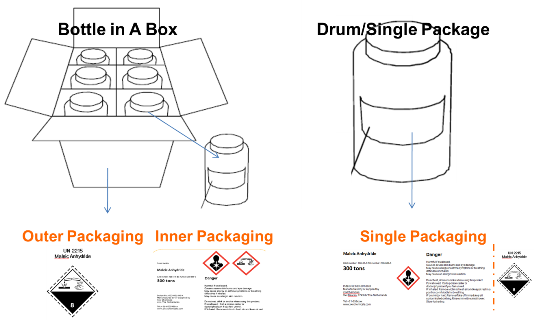 In EU, outer packages may also be labelled according to GHS (This is mandatory for single packagings such as drum). 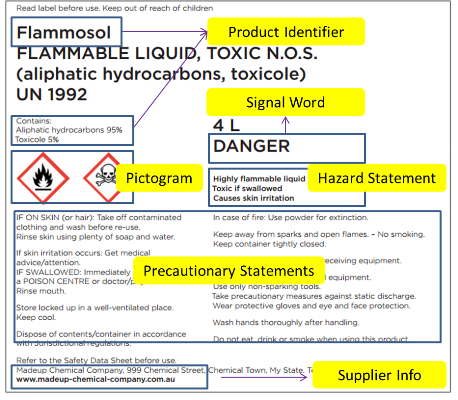 Where the GHS hazard pictogram(s) relate to the same hazard as in the rules for the transport of dangerous goods, the hazard pictogram(s) required by this Regulation need not appear on the outer packaging. GHS labeling for small containers.